The very thought of getting rid of things makes me wince. I need to psych myself up to get rid of anything at all – books I’ve never read (but might one day want to open), bad pictures so blurry and poorly composed that I’m not sure what they are, shoes that hurt my feet. I’m a mess. My VIP resorts to donating items behind my back. 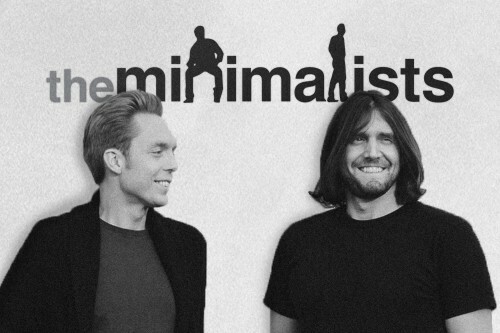 I subscribed to a podcast by The Minimalists, Ryan and Josh. I blame this on my VIP. He was the one to recommend it to me after coming across the idea that although there are several circles of relationship intimacy – close friends and family, friends, acquaintances you have to attend to them all. Although your best investment may ultimately be with those in your most intimate circles, there are times when you do have to focus on those outer circles as well. Just remember to invest in the inner circles when the opportunity presents itself. I found the first podcast I listened to (Random) a bit rambling, since they just provided answers to random questions from listeners. I did discover a few interesting ideas. Far from being ascetics, these guys just have a wary relationship to material goods. One of them tried to go for a year without buying any material products (consumables like groceries and soap were OK). One thing he learned was that he had a habit of impulse buying small items. He’d see a mug he liked, and before he knew it, it was in his cart and on the checkout counter. The practice of being mindful of what you bring into your life reduces that. However, six or seven months into the experiment, he spilled a drink on his computer and destroyed it. He said he tried to make it work without a computer. He went to the library etc. But eventually, he decided that having a computer was just something that brought an extraordinary amount of convenience, pleasure and productivity into his life, so he went out and got a new one. Their approach seems to be that you don’t have to wall out all worldly possessions, you just need to consider carefully what you want to let in. I’ve been thinking a fair bit about minimalism after another friend asked what I was going to do with all of my work clothes. Now that I work remotely, and it’s the quality of my work rather than the stylishness of my clothing that matters, I see a closet full of clothes and uncomfortable shoes collecting dust. Is it time to simplify? I think I’ll go find MW, and listen to another podcast. Then, I’ll let you know.